Late in 2013 the China Premiere endorsed the first Hong Kong-like free trade zone in China. The plan was announce in July 2013, and quickly achieved approval and implementation began in Q4 2013. 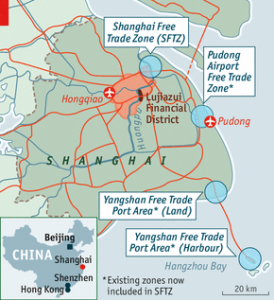 The Shanghai FTZ will first span 28.78 square kilometers in the city’s Pudong New Area, including the Waigaoqiao duty-free zone and Yangshan port in Shanghai. In Oct, 2013, the authorities released a “negative list” of sectors in which foreigners cannot invest in the zone. This list will be again modified in early 2014. 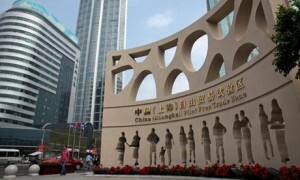 Since announcement of the FTZ, office rent in the zone has been doubled. There are not enough office spaces for new businesses to be operated within the area. Our Subsidiary — Tobongo Shanghai (Bangnuo Shanghai Technology) was an early adopter and obtained a business license in the zone within 3 months of the FTZ opening. The establishment of Tobongo Shanghai will enable us import products into the zone without paying duty and VAT. We are able to label, package and provide other value-added services before products being shipped outside of the zone. For more details please contact us.